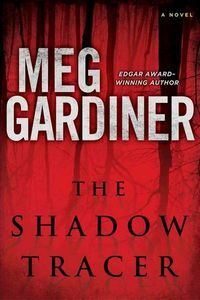 The Shadow Tracer by Meg Gardiner: Synopsis and Online Purchase Options. Synopsis (from the publisher): Can a person ever really disappear for good by going off the grid? And what happens when vanishing is no longer an option? Sarah Keller is a single mother to five-year-old Zoe, living quietly in Oklahoma. She's also a skip tracer, an expert in tracking people who've gone on the lam to avoid arrest, prosecution, or debt — pinpointing their locations to bring them to justice. When a school bus accident sends Zoe to the ER, their quiet life explodes. Zoe's medical tests reveal what Sarah has been hiding: Zoe is not her daughter. Zoe's biological mother — Sarah's sister, Beth — was murdered shortly after the child's birth. And Zoe's father is missing and presumed dead. With no way to prove her innocence, Sarah must abandon her carefully constructed life and go on the run. Chased by cops, federal agents, and the group responsible for Beth's murder, Sarah embarks on a desperate journey. Can her knowledge as a skip tracer help her stay off the grid, remain one step ahead of her pursuers, and find a way to save her daughter?